Today is the first of a series of ventures coming up for the brass section of the Royal Liverpool Philharmonic Orchestra Brass Section. Our lunchtime concert today, in collaboration with the RLPO’s Ballet Russe celebration season, we will be giving the premiere of Tim Jackson’s arrangements of suites from Stravinsky’s ‘Pulcinella’ and Tchaikovsky’s ‘Nutcracker.’ The concert will be conducted by RLPO Principal Horn, Tim Jackson and the performance will be a precursor to the ensemble committing both works to CD next week. 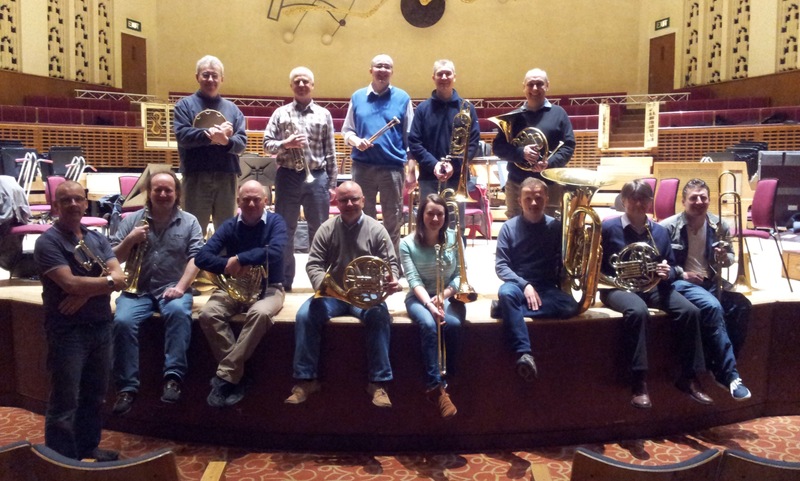 This entry was posted in The Brass Section and tagged "Royal Liverpool Philharmonic Orchestra", 'RLPO', brass ensemble, Brass Section, Tim Jackson. Bookmark the permalink. Nice one Brendan…good luck with the concert to day and looking forward to the CD ! I take it you will keep us up to date ?